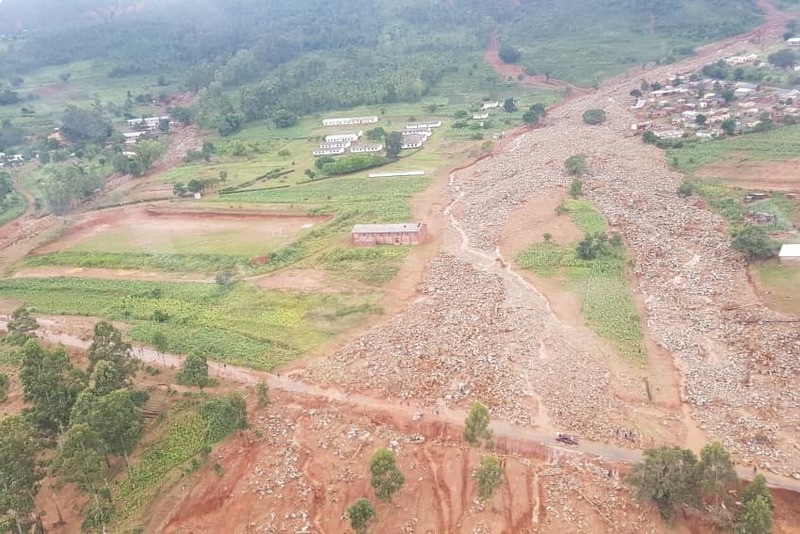 The recent Tropical Cyclone Idai has had a devastating impact on most parts of the Eastern Highlands in Zimbabwe – notably Chimanimani and Chipinge but also Mutare, Mutasa, and Zimunya. There are many fatalities already and more being reported daily. Please help them. There is already a tremendous peoples relief effort underway. This fund will contribute to that with a focus on assisting the reconstruction of roads to gain access to villages affected, food, shelter, water and medical supplies. As short-term problems ease the money will be used for the next stages of rebuilding efforts. We will provide regular updates on this. We will work with The Chimanimani Tourist Association who are leading efforts on the ground and Webb, Low and Barry, Solicitors in Bulawayo. We have organised the most efficient and fastest way of getting your donations into money on the ground.We have worked out the payment logistics so that all associates fees will be waived on humanitarian grounds. Some initial funding will go direct to those who have volunteered earth moving equipment to purchase fuel. All the food & supplies will be bought in Zimbabwe and then transported to Chimanimani and Chipinge for distribution. Tempe van der Ruit, Treasurer for Chimanimani Tourism Association will be the local representative on the ground. Tempe was born and bred in Chimanimani. She is known and trusted by all in the community and deeply involved in this crisis effort. At the request of GoFundMe, I am explaining that the funds will come into my personal bank account and from there will be transferred to Zimbabwe under the management of Webb, Low and Barry. I will make these transfers to Zimbabwe on the same day they are received. I will take screenshots and pass these to Webb, Low and Barry for their records. Every penny this fund receives will be sent to Zimbabwe. We have compiled the following update from a variety of sources, personal messages, Facebook groups, WhatsApp groups and the Internet. We believe it to be reliable. Chimanimani is just about open. • Search and rescue has finished. • The main road in from Wengezi Junction is now open to small vehicles…..probably up to about 7 tonnes. All road repairs are temporary. • Road into Ndakopa is open from Chipinge side to 2 wheel drive vehicles. • Work is on-going on the Nyahodi road down to Rusitu. Mostly temporary quick fix. • The main Zesa line in to Chimanimani is complete….still one or 2 minor snags. We had zesa briefly last night for the first time since cyclone. Still the whole Tilbury line to rebuild, and many other smaller lines. • Ngangu is still a mess, a digger is still working there. • People in Chimanimani Town are well fed, there are lots of aid agencies. • Food distributions elsewhere are on-going, by Army, Miracle Missions, and WFP, and Econet. These distributions are controlled by the Min of Social services, and are well supervised , certainly the food distributions are well managed and the food seems to be getting to the people that need it. This task would be impossible without the help of Social services. Impressive. • The road to Tilbury is now open to 4 x 4 only. What Next... ? We will write more about the upcoming challenges. We have been asked by many to show our credentials. In response the following statement has been written by Senator David Coltart Senior Partner Webb, Low and Barry Legal Practitioners Bulawayo Zimbabwe. It confirms the validity of this fund and I hope provides the assurance that the funds raised will reach their destination at the very earliest opportunity. "I confirm that this is a valid site. 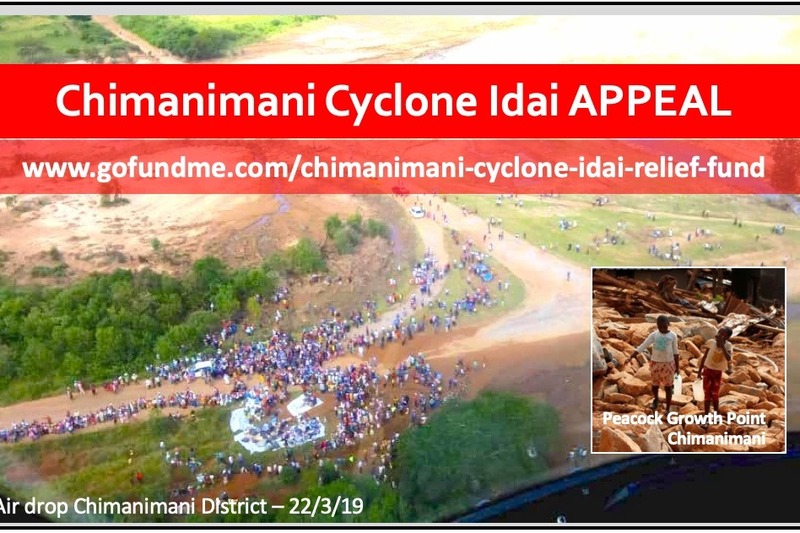 Webb, Low and Barry has been instructed to establish and manage the Cyclone Idai Relief Fund Trust, whose Trustees are the Senior Partner of Bulawayo law firm Coghlan and Welsh, Promise Ncube, Chartered Accountant Iain Sheasby, Bulawayo Pastor (who comes from Chimanimani) Tawanda Masango and myself. The international firm of Chartered Accountants Deloitte have agreed to audit the Trust as their contribution towards this relief effort." Firstly, a massive thank you to everyone so far who has taken the time and trouble to think about Chimanimani and donate to this campaign. At the time of writing we have raised nearly £23,000 and rising. The situation on the ground is still desperate. Finding people, getting them food, meds, clothes are blankets are the priority. New roads and ways around broken roads are being established. But it does seem the main route into Chimanimani from Skyline Junction will be out of action for a long time. It will be a long hard haul.